The Marijuana Blog Can I legally grow medical marijuana to sell in California? 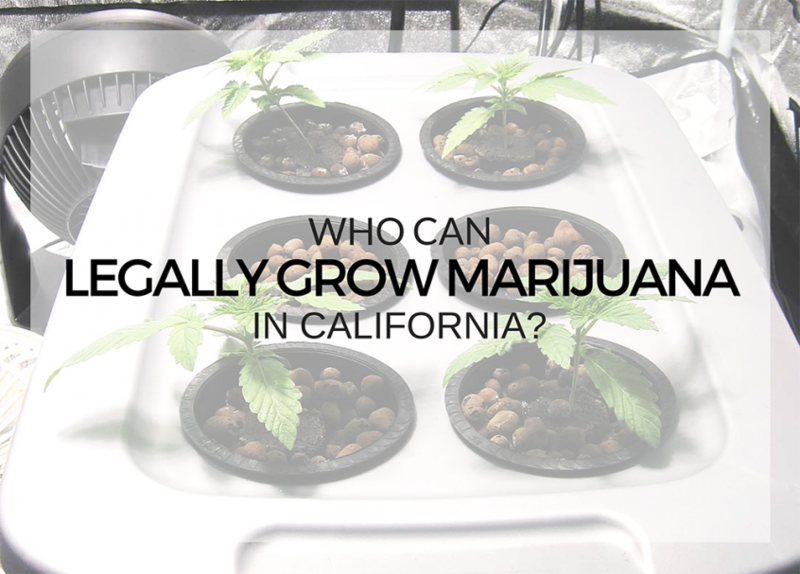 Can I legally grow medical marijuana to sell in California? The legalities surrounding marijuana is complex and multi-layered. From medical marijuana to recreational weed, there is a plethora of legal parameters that plague each type of marijuana use and sale. Today we are discussing the legalities associated around the legal sale and growing of medical marijuana in California. While everyone can apply for a medical marijuana card, not everyone can legally grow and sell in California. Dispensaries are typically organized as sole proprietorships, partnerships, and/or for-profit businesses. These for-profit organizations are expected to file for a seller’s permit and to pay sales taxes, typical of other types of for-profit businesses. Dispensaries are legally allowed to grow/source and then sell medical marijuana to patients with either a medical marijuana card or doctor’s letter of recommendation. A collective or cooperative is a group of legal medical marijuana patients, providers, or caregivers that come together to form a non-profit group. Members of the collective are legally allowed to grow and to distribute medical marijuana, but only to members of their own collective, and not for profit purposes. They are not allowed to sell to anyone outside of their membership. Generally speaking, cannabis clubs are not considered “primary caregivers”. If you’re legally allowed to use medical marijuana and are interested in selling, the easiest way to do so is to join a non-profit collective. However, if you were looking to make a profit, you would have to turn towards the dispensary route either as a sole proprietor or as a partnership. While legally selling medical marijuana is not as easy in comparison to applying for a medical marijuana identification card, know that it is possible to do so and many proprietors before you have already paved the way.